Sinus lift, also known as sinus augmentation, is performed by a dental specialist to improve bone mass in the maxilla or top jaw. This process boosts the chances of successfully placing dental implants. Artificial bone grafting material or bone from another body part is grafted into the endosseous or the bone below the base of the maxillary sinus. Sinus lift is required when the sinuses are very close to the jaw or the bone in the upper jaw is not enough for the implants to be imbedded. This process is also done when the height of bone in the upper jaw is not enough for implants to be placed. People who don’t have teeth in the upper jaw don’t have enough bones to hold implants. 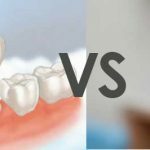 Those who are suffering from periodontal disease might have lost bone as well. 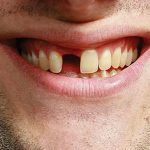 Tooth loss may also lead to bone loss. Bone starts to be resorbed in the body when the teeth are gone. If you’ve been missing your teeth for a whole, you don’t have enough bones to hold the implants. The maxillary sinus may also be extremely close to your upper jaw, leaving no room for the implants to be placed. Sinus lifts can help those who want to get implants to replace the teeth they have lost. The gum tissue where the back teeth used to be will be cut. The bone will be exposed once the tissue is lifted. A tiny, oval window is the opened in the bone. Your sinus and jaw are separated by the membrane lining your sinus on the other side of this oval window. This membrane is slightly shoved up and away from the jaw. The area where your sinus was is then packed with pieces of bone-graft material. The amount of bone will differ, but a few millimeters of bone is usually added above the jaw. The tissue is then stitched up once the bone is placed. The implants will be placed 4 to 9 months later. The area may swell after the procedure and you may bleed from the nose or mouth, but don’t sneeze or blow your nose forcefully. The bone-graft material may move and the stitches may loosen. You may get saline sprays from your dentist to prevent the inner lining of the noise from getting wet. He may also prescribe a medicine for inflammation and congestion as well as an antibiotic, antimicrobial mouthwash and pain medicine. You have to visit your dentist seven to ten days. He will assess the site of surgery and get rid of the stiches of they don’t melt by themselves. You may also need to return several times to ensure that the area is healing well. After the procedure, you have to wait a few months for the bone-graft material to harden and mix with your jaw. Some dentists also use growth factors to make the new bone harden a lot faster. Platelet-rich plasma is obtained from your blood before the procedure and combined with the graft that’s placed into the sinus.